Die smilies begrüssen herzlich das Team Red Dragon e.V. als neustes Partner-Team. Wir freuen uns auf weitere tolle Wochenenden und eine erfolgreiche Zusammenarbeit! 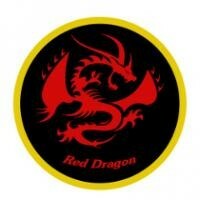 Webseite Team Red Dragon e.V. Thanks on your marvelous posting! I certainly enjoyed reading it, you can be a great author.I will make certain to bookmark your blog and will come back very soon. I want to encourage yourself to continue your great writing, have a nice day! What's up to every , because I am actually keen of reading this blog's post to be updated regularly. It includes nice stuff. I got this web page from my pal who told me concerning this website and now this time I am browsing this website and reading very informative posts at this place. I got this website from my pal who shared with me on the topic of this website and now this time I am browsing this website and reading very informative posts here. whoah this blog is wonderful i like reading your posts. Stay up the great work! You realize, a lot of persons are looking around for this info, you can aid them greatly. Thank you for the good writeup. It in reality used to be a entertainment account it. Look complicated to far added agreeable from you! By the way, how can we keep up a correspondence? I have learn some just right stuff here. Definitely price bookmarking for revisiting. I wonder how much effort you place to create one of these excellent informative website. I'm not sure where you are getting your info, but good topic. I needs to spend some time learning more or understanding more. Thanks for magnificent info I was looking for this information for my mission.